p. 174: Albert F. SUTTON, son of Captain William and Elizabeth (Mathews) Sutton, was born in 1839 in Seekonk, now East Providence, and was educated at Seekonk academy and Scholfield's commercial school, Providence. He built his present house about 1873. He has followed the gardening business, and has also turned his attention considerably to real estate. He followed the sea about ten years. He married first Phebe, daughter of George Rice of North Providence. His present wife is Elizabeth, daughter of William L. Williams of Providence. His father was a sea captain. His grandfather, Robert Sutton, was one of the twelve men who, disguised as Indians, helped to burn the "Gaspee", as Gaspee Point. His grandmother on his mother's side was a Lawrence, of a family of tories, located at Rehoboth, Mass. A Muster Roll of the company under command of Capt. John Perry in Col. Timothy Walker's Regimant enlisted for 8 months t the 1st of August, 1775. This is very likely our Robert Sutton. He is NOT listed in the HeritageQuest Revolutionary War pension applicants, perhaps because he died in 1811 before these were set up for routine pensioners. The James Bucklin, Ensign, is a good chance of being a relative of the shooter Joseph Bucklin. Joseph's uncle, John Bucklin, was a captain of the Rehoboth Minute Company in 1774 which was incorporated into Col. Walkers regiment. We have a problem finding a James Bucklin of the right age, though. John G. Erhardt, History of Rehoboth, Seekonk, Mass., Pawtucket & East Providence, RI, 1692-1812, (PO Box 33, 500 Fall River Av., Seekonk, MA, 1990), p724, says there was a Joseph Bucklin who marched as a Sergeant, with the Minute Man Company of Rehoboth on the Alarm, with two Bucklins as privates, in the company of Capt. Bishop. (Query whether this was Joseph Bucklin the 4th or Joseph Bucklin the 5th, the shooter? Erhardt's notes don't help with the identity, but it this puts Sutton in the military probably with either the Gaspee shooter or his father). According to the early American Newspaper collection, available through NEHGS, a Robert Sutton and others were assigned the town position as 'corders of fire-wood' in 1801 and 1804. A curious ad in 1805 requested the sale of cider to be delivered to the houses in India Point of either Robert Sutton or James Daggett. An even more curious letter to the editor was published in 1807 from a black free man that alludes to Robert Sutton being a cruel toll collector for the Washington Bridge (that at that time was owned by the descendants of John Brown). In 1808 Robert Sutton's name was published on a list of persons who were delinquent in their property tax. Finally, in 1812 an executor notice was published for his estate by a Samuel Mason. 412. Robert SUTTON 1 died 28 Apr 1753 in Rehoboth, MA. He married Jerusha ALLEN on 13 Sep 1737 in Rehoboth, MA. These would likely be our Robert Sutton's parents. 206 Robert SUTTON. Born on 19 July 1741 in Rehoboth, MA. Robert died in Providence, Rhode Island, U.S.A. on 15 November 1811, he was 70. This is likely the Robert Sutton of our concern. He's not recorded a being buried in Rhode Island, and is probably in a family plot in the Eastern suburb of Rehoboth, MA. Rhode Island Historical Cemetery Database comes up negative on a Robert Sutton. He also doesn't show up on the 1790 Federal census. In pinging GENDEX, there are too many Robert Suttons dating back to the 10th Century for me to pick one suspect out. None pique our interest with visible ties to Rhode Island or Rehoboth, however. By backwards searches of relatives in Gendex however, we do get that our Robert Sutton was married in 1761 to a Rhoda Lloyd (1740-1827) who died in Providence. They had at least one other child besides Captain William Sutton, a Rhoda Sutton, born in 1766. There's no Rhoda Sutton buried in RI either, even though we know she died in Providence, so Robert's wife was probably buried with him in Rehoboth or somewhere. There is one Jerusha Allen born in Manchester, MA in 1712 at the right time to be our Robert Sutton's mother, but this is North of Boston, a considerable distance in those days from Rehoboth. I've been unable to closely relate Jerusha with Gaspee raider Paul Allen.
? Charles SUTTON (b after 1774) m Elizabeth, also moved c1807 to PA then to the Upstate area of NY, and died there after 1840. Polly Sutton b 15 Mar1784. By convention, this second Polly probably means that the Polly of 1768 died as a child. Robert Sutton was probably descended from the Mayflower line. I've also come to the conclusion that there was a big connection between the sleepy farm town of Rehoboth, Massachusetts and the many family ties of the people from Providence who burnt the Gaspee. Some of my information is simply family stories passed through the generations, BUT, there is sufficient evidence, in my opinion, that substantiate the "stories". The story, as you have it, that Robert was one of the 12 dressed as Indians is as it has been told in the family. Robert was a sea captain, as many, many of my ancestors were and he kept boats in Bristol. Several naming conventions in my family have been used to "memorialize" the acts of Robert and his raider friends. Note that Ephraim Bowen was one of the raiders; he was a personal friend of Robert, and one of my ancestors was named in his honor (Bowen Sutton). My great-great Grandfather Nathaniel, also a sea captain, started the Providence Steamboat company (still in operation at India Point in Providence today). 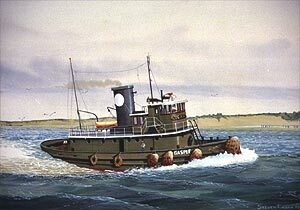 One of his earlier tugs was named after the Gaspee, this was intentionally named in Robert's honor, although it was retired and is currently in dry dock. Another tells that Robert participated due to that fact that our family was very close to the Williams' (yes, as in Roger Williams), and the British brutality was seen as a slap in the face to the "people" of family friends. Robert's patriotic nature and devotion to the honor of family friends made it an easy decision for him. Not to mention that family members, including Robert, were of those harassed by the Gaspee and her crew. In January 2003, we received an e-mail from a WJH, claiming descendancy from Robert Sutton, and who claims Robert Sutton operated a ferry-boat service. From LDS files we have his granddaughter, Rhoda Lloyd Sutton born 1794 in Thompson, CT. WJH feels that her family moved eventually to the Pennsylvania area. Robert and Rhoda had a first child Diadamia from whom I am descended. Also you say that there was a Jerusha Allen born in MA at the time she would have been born. That Allen family had a son who went to Rehoboth after his first wife died and remarried again there. Quite a few Jerushas have shown up in this family. I found that [local map-maker] Mr. Chace did another study from 1798 at the LDS library, and low, and behold, there are two Sutton’s indicated: Robert and Charles C. The study included a nice little map that shows Robert’s property right at India Point, where the park is now, and just short of the bridge. James Daggett has the property next door. In 1992 I spent three or four days there at the time the Brown University boathouse was right about where I think Robert Sutton’s place was. Looking at Microsofts new www.local.live.com with aerial and bird's eye photos they must have redone the park with a new, much bigger boathouse. Property records are available and I copied the record of the sale of this property, and it turns out that Robert bought this place from …. John Brown… I have at some point learned that the bridge was built in 1793, and was owned by John Brown and maybe his brother Moses. In any case, it indicates to me that John Brown and Robert Sutton had some relationship. I don’t think that John Brown needed to sell that little parcel or place, but did Robert Sutton need to or just want to buy it? Son Charles owned, or co-owned a place with R. Hudson, just around the corner, up the street, right about where the Days Inn, or Radisson nowadays, is now. Or possibly under I-195. I don’t think that I ever was able to decipher who the seller was for this property. Whether Robert Sutton was a sea captain or owned ships, as B.Charles has heard, is uncertain to to me. I’ve not found any evidence. My guess, my hunch is that he probably spent most of his adult and working life associated with the Brown family, and living nearby at least. John Brown was, as we all know, quite a mover and shaker, and had a lot of stuff going on, all that needed help in the form of employees and contractors. I would bet that Robert Sutton was part of the Brown, Inc. organization for most of his life and livelihood. Again, I don’t have much evidence, but I can say I’ve looked in a lot of places for information as to Robert's livelihood. The only Sutton we find on the 1770 List of Providence Taxpayers is a Bartholemew Sutton, whose home was located at the intersection of North Main Street and Town Street, between the Smith Distillery and the Antram Distillery. Perhaps then, he may have been involved with the Triangular trade like many Gaspee raiders. Search on all other genealogical databases is negative for a Bart Sutton from Rhode Island, the only one found being buried in Pennsylvania. The RI Historical Cemeteries Database does however give us a Bart Sutton, and presumably his toddler son (could be grandson) buried in the Old North Burial Grounds, next door to their homestead. This Bart Sutton would've been the right age and location to have been an uncle of grandfather of Robert Sutton, but this is all highly speculative. Of the remaining Suttons listed, only the following have 18th century birth dates. 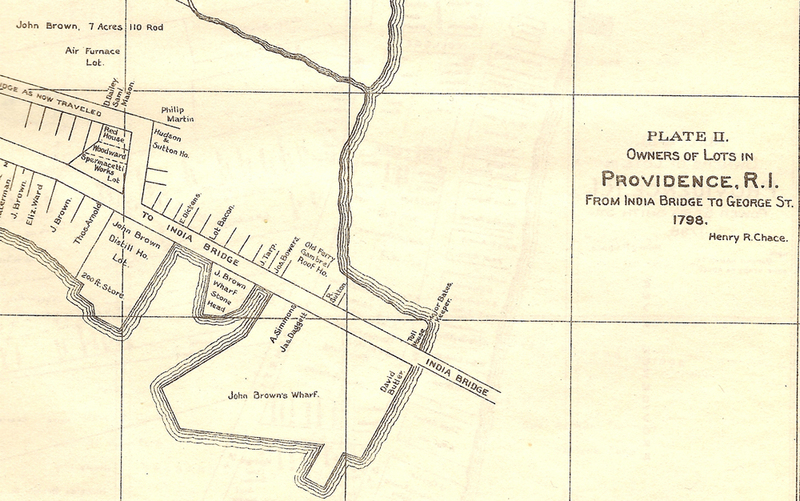 Those with EP003 burial sites are in the Newman Cemetery in East Providence, RI, earlier part of Rehoboth, MA. And since they were born after Bart's death in 1775, they can't be his kids, so they must be someone else's, perhaps Robert's. Sharon McElroy, a descendant, indicates that the Oliver Sutton above married a Sarah Bucklin on 17 Feb 1799 in Rehoboth, MA, and this has been confirmed by B. Charles Sutton with gravesite research. The Gaspee Days Committee recognizes Robert Sutton as a true American patriot for his role in attacking the HMS Gaspee in 1772.